Appcake is basically the third-party App Store for iOS devices. You can easily install any create application and games using the installer and it also supports downloading of torrent and magnet files from the internet. In this article, we’ll talk about getting advanced and free iOS apps and games in your iPhone without paying for it or even downloading it from the Apple app store. Head down to the guide below to install Appcake application in your iOS devices. Use these following steps to successfully download and install Appcake application using the Cydia in iOS devices. But before you install Appcake in your iPhone you need to jailbreak your iPhone due to some security reasons. 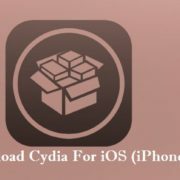 Jailbreak IOS devices using the Electra jailbreak IPA and Cydia impactor. Jailbreaking guide is available on the internet, make sure to read the complete instructions before jailbreaking your iOS device. After the jailbreaking procedure is completed in your iOS device, you need to open the file app from the app list of your iOS device. Now go to the sources tab and you inter this falling URL and then tap on at source button, http://cydia.iphonecake.com. Now a popup warning will open up in your screen, select the add anyway option to confirm it and proceed further. after that, you will get to see the App cake and its associated packages on the screen, select it and mark all the packages which are named after Appcake. After it’s done choose the App cake and select it to install it in your iPhone. We have collected complete data about the Appcake for iOS devices and provided them in this article for you. We have also provided the complete guide to successfully download and install Appcake in your iOS devices. 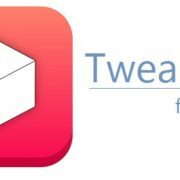 Share this article with other iOS device users so that they can also get in hands with this useful application in their iPhones.